Yalla Abu Dhabi - Yalla’s Guide to Easter Events in Abu Dhabi | Yalla Knows It All! Welcome to our guide to all the Spring Eggstravaganza events happening this Easter. From lovely family brunches to chocolate egg hunts, you’ll have plenty of options to choose from to keep little ones entertained. 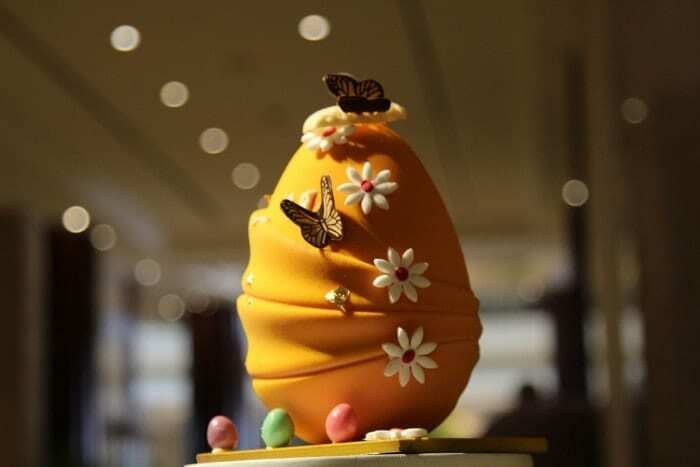 If in a rush and on the lookout for a sweet surprise, Café Columbia will have delicious Easter goodies such as homemade chocolate bunnies and beautifully crafted eggs on store which make the perfect gift to take home from 20 to 28 April 2019. 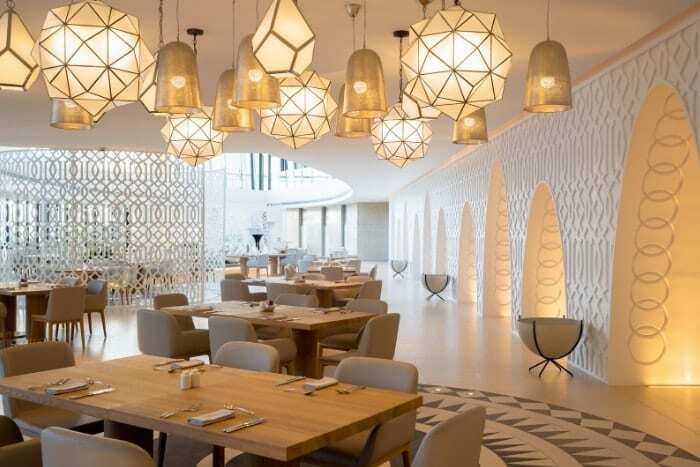 Already famous for its ‘The Best of Beach Brunch’ held on Fridays, Beach Rotana Abu Dhabi will offer a special Easter Brunch on Sunday, 21 April 2019 that is sure to be enjoyed by adults and children alike. A kids’ zone with activities such as face and egg painting, balloon twisting, fun games and the traditional golden egg hunt guided by the Easter bunny himself will entertain the little ones and keep them busy. Complimentary for children under 6 years when accompanied by parents. Easter dinner consisting of a 3-course menu for AED 250 per person. 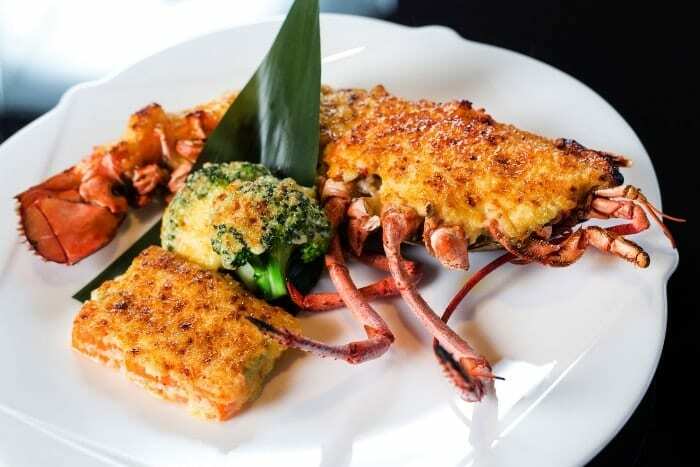 Guests will enjoy a welcome drink with grilled black tiger prawns as a starter, for the main course they can choose between a baked Biaah filet marinated in herbs with chickpeas and coriander-olive oil emulsion or the Easter lamb served with green beans, baked tomato, hummus and basil jus. Finally, a lemon cake is served with berries for a sweet finish. Saturlaze, the lazy Saturday lunch in Finz, will also have an Easter upgrade with special treats and dishes. Guests joining in one of the two occasions can take part in a raffle draw for a chance to win dining and stay vouchers and more. 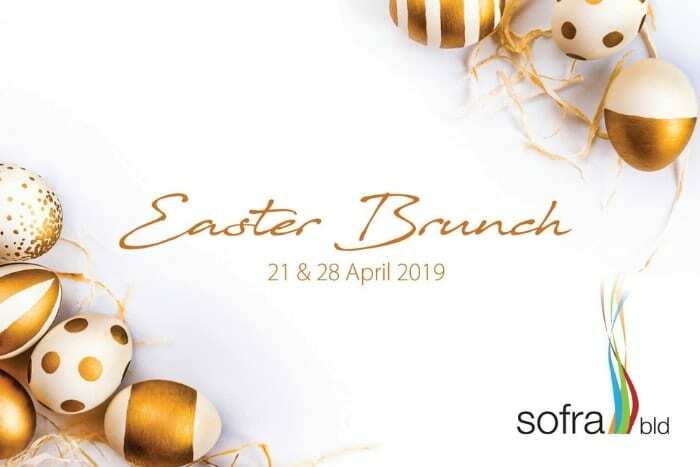 Make your Easter celebration with family and friends in the capital a memorable one with an Easter Brunch at Sofra. Indulge in a lavish buffet with 12 live cooking stations of international favorites, including vegan options to satisfy every palate. Enjoy complimentary access to the pool and beach area from 10 a.m. onwards and one welcome drink. A fantastic live performance by the Trio Band will enhance the atmosphere while you enjoy your brunch. Kids will also enjoy fun activities such as egg hunting, face painting and more. 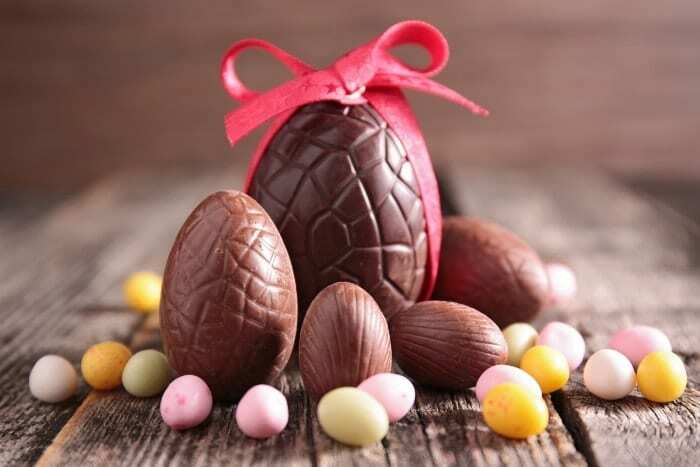 The menu will feature traditional Easter delicacies like rabbit galantine with grilled pears, loaded deviled eggs with turkey bacon and Scotch eggs with tomato relish as appetizers. For mains, there are braised lamb shank, roasted butternut pumpkin with goat cheese and other favourites. Children can take part in egg hunting and face painting as well. Live music will be provided by the Zero Funk band. Pass by Le Café to pick up your favourite decorated chocolate eggs for Easter. Pair them with our beautifully prepared Easter cakes from French Bakery, as a finishing touch for your celebration. 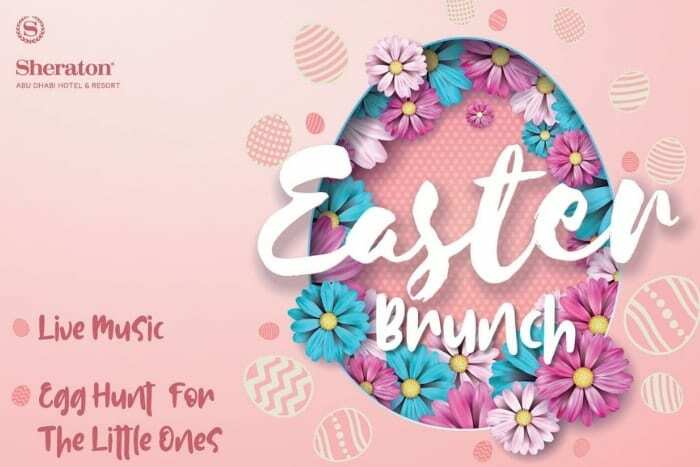 Celebrate Easter with the family at Corniche All Day Dining Restaurant as our chefs present a lavish buffet featuring all the seasonal specialties. The kids will love our dessert station which comes with beautifully decorated Easter eggs. Terms & Conditions Apply – reservations required. For inquiries and reservations, please call (0) 2 813 7777 or visit: www.sofitelabudhabicorniche.com. Chilled free-flowing beverages, an amazing variety of cuisines topped up with live entertainment. 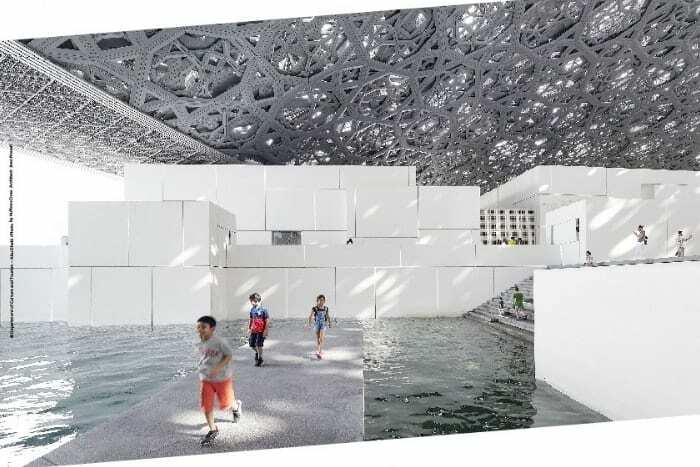 From AED 375 net per person. This is a night to savour everything remarkable about British roasts and delicacies by the Nahaam poolside. From AED 195 net per person. 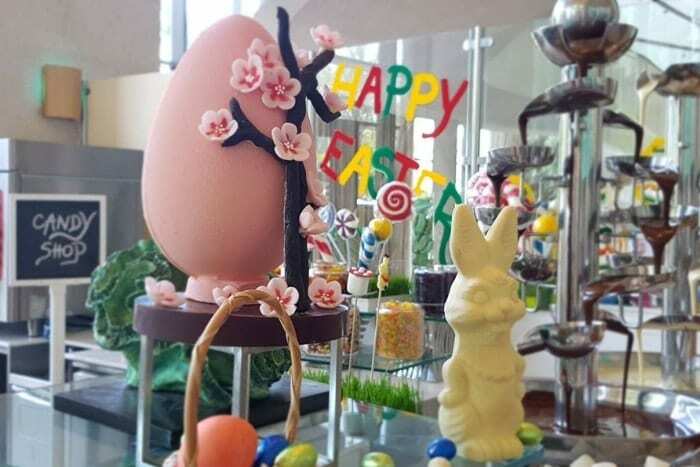 Scrumptious chocolate displays at Majlis Saadiyat with 100 magic Easter eggs, containing gifts such as complimentary brunches, brunch upgrades and a stay in our panoramic suite! Every pre-confirmed brunch booking will get one of these eggs to gear you up for a remarkable Easter celebration. 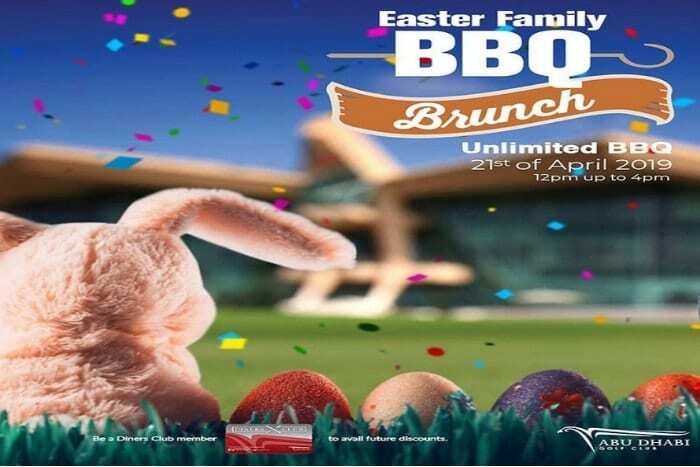 Get ready for a hopping good time as you enjoy the Ultimate Easter Brunch at Yas Hotel Abu Dhabi. Find your inner-child and join the egg hunt for a chance to search for the Golden Egg and win amazing prizes! 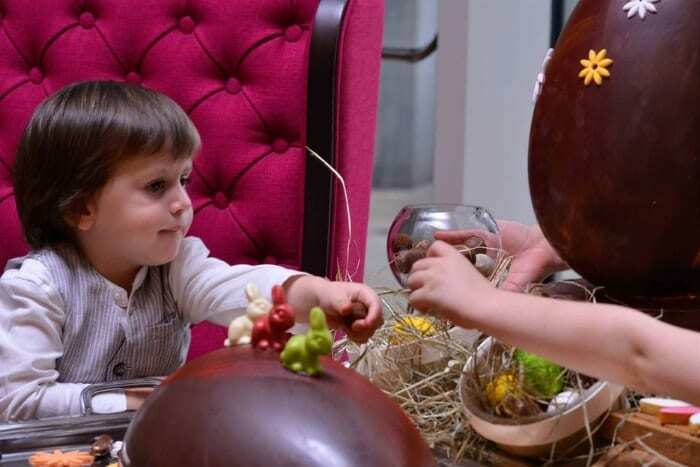 While kids are invited to join the festive fun with a giant egg hunt during the brunch, parents can start the journey from The St. Regis Bar sipping mixers. This Easter, savour hand-carved meats and favourites from live stations, cheese fondue, foie gras, fine risotto and creamy lasagne as well as delicacies from the ocean including oysters, scallops and other fresh seafood at The Terrace on the Corniche. For more information and reservations, please call +971 (0)2 694 4553 or email restaurants.abudhabi@stregis.com. Inspired by the finest ingredients and regional specialities from Tuscany, Umbria and Emilia-Romana, the award-winning restaurant Villa Toscana celebrates Easter with “Pranzo Di Pasqua”, inviting connoisseurs to indulge in traditional and tempting delicacies that bridge the tradition and elegance of Italy. All pasta is made in-house with raw ingredients sourced freshly from Italy, and special imports of cheese, prosciutto, cold cuts, and salamis ensure the brunch takes all guests to an unforgettable culinary journey to Italy this season. The Easter bunny is getting ready for the popular Easter brunch. 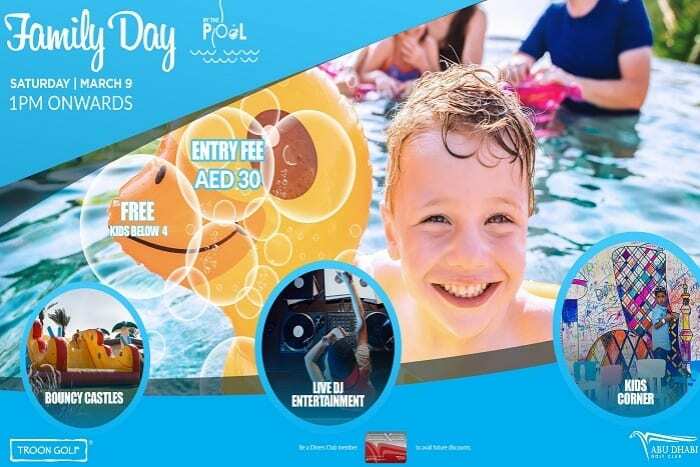 Bring the whole family and friends on Sunday, 21st April for an afternoon of holiday family activities with live entertainment and pool access for everyone at the lawn of Abu Dhabi Golf Club. Enjoy this eggstravaganza occasion with delectable International cuisines and kids buffet as well. Kids will love exciting activities including face and egg painting, fun and games and the traditional egg hunt led by a special guest, the Easter bunny! Live entertainment will ensure guests will hop around the buffet and enjoy their food. 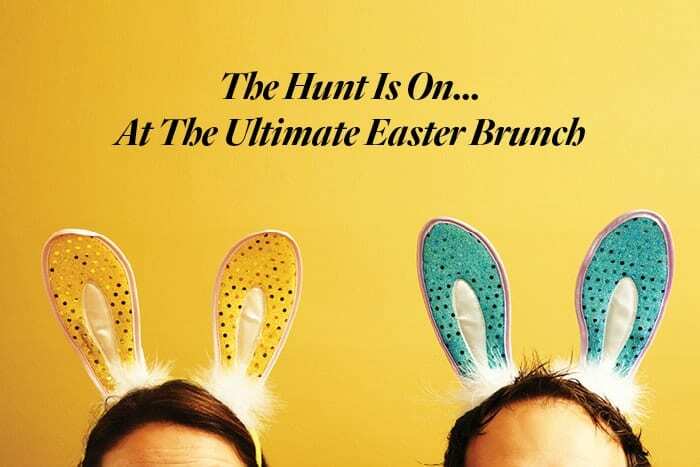 Easter Egg Hunt at 3 Iconic Hotels! 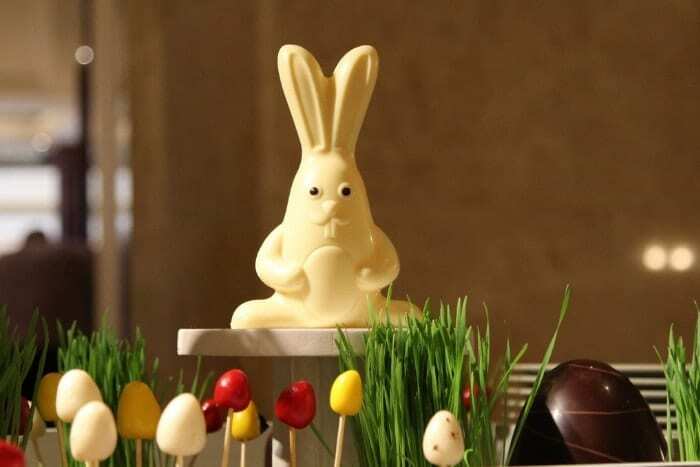 Put your secret agent skills to the test and join us in Abu Dhabi’s biggest search of coveted chocolatey eggs. 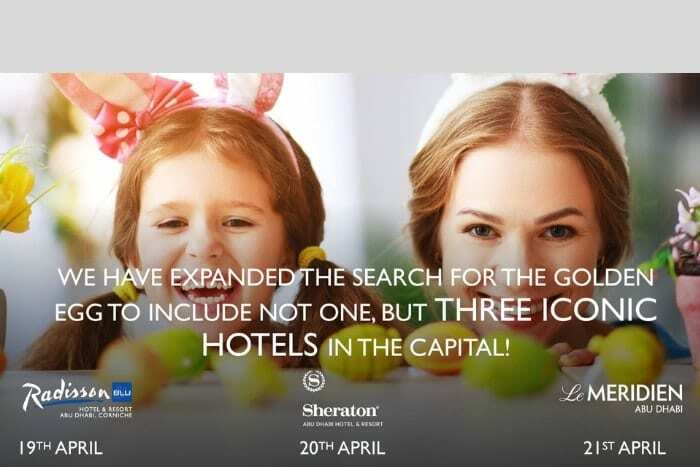 That’s right we have expanded the search for the golden egg to include not one, but three iconic hotels in the capital! Starting Friday at Radisson Blu, Saturday at Sheraton and Sunday at Le Meridien. The perfect Easter festivity for kids and sweet-toothed adults alike. Bouncy castles, face painting, competitions to win exciting prizes and a full day access to the resort facilities make it a fantastic family day out. Celebrate Easter with a spectacular brunch in Flavours. A wide spread of your favourite dishes and a huge array of yummy desserts! You can relax & jam with the band while the kids join the Easter Bunny on a giant egg hunt and more fun activities. Call 02 677 3333 for inquiries or to make a reservation.